Geico saved 15% by switching to Chuck Norris. So here is my question. 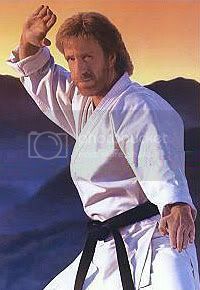 What is the origin of the Chuck Norris jokes? My guess thus far is the Conan O’Brien late night show but I would love to hear any insights into how this has become a phenomenon or another aspect of Chuck that you know of but that I might not be aware of. Many die-hard Beatles fans will be thrilled to learn that they may not have heard the last from John Lennon. On April 24, iN DEMAND pay-tv service will host a seance to contact the late Beatle for a paying audience. A recent article tells all about the pay-per-view show that will certainly create controversy. The shows producers did not get consent from Lennon’s estate but came up with their newest idea solely on what they think would attract viewers. Hearing this reminds me of a time when a desperate man named Saul had realized that God was no longer with him as a result of his bad choices. What did he do when he needed to hear from God yet God was silent…he took it into his own hands and had a seance to call back the recently deceased prophet of God named Samuel (1 Samuel 28:3-25). After Samuel comes back and gives Saul a message from beyond the grave it says that “immediately Saul fell full length on the ground, filled with fear because of Samuel’s words” (28:20). It strikes me as sad that we feel the need and the right to take matters into our own hands despite what it may take to get there. Yes, I do believe that mediums can summon “spirits” from the beyond the grave (but I would suggest that it isn’t God giving them the ability to do this) despite the fact that the producers of the show had tried this idea before with a show in which they attempted to contact Princess Diana from beyond the grave only to fail in the connection (although they still managed to make a hefty profit in their failure). What is our society willing to pay to get what we want? Welcome to my new blog page! I have long considered doing this and finally got around to it after encouragement from my friend John Chandler. In no way do I consider myself an expert in any of the topics that I will post on. However, I am a strong believer in the value of people discussing life together in the hope of learning from each other…and that is what I hope to create here. One of the turning points for me was reading John’s page on why to blog. I have included two of the main reasons that he brought up that I hope to accomplish here. Please feel free to comment heavily on any and every thought you have that I discuss here. I’m looking forward to the interaction. Please let me know anything that you would like me to include on here or suggestions that you have.